Hello again and welcome back to journeys for 2016 🙂 For my first message this year I am going to share with you a method of interacting with your astrology that I have used in my own life and gradually developed. It is a highly adaptable method and my explanation should serve only as an example of the possibilities. Currently, human awareness has a tendency to intellectually analyse the world around it, especially those of us raised in westernised cultures. This is an exceptionally fertile awareness that brings enormous invention, discussion and variation on a theme. This intellectual bias can be seen in every field of interest including astrology, where it leads to a maze of systems and often a continuous tweaking of an astrologers technique. 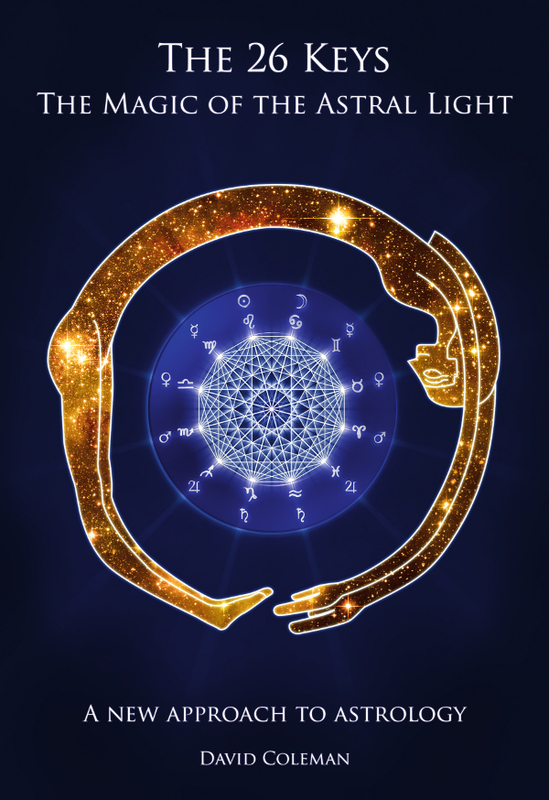 Astrologers grow and perform better when they incorporate new ideas and so this is no bad thing, but the main thrust of this article is that this is not the only way to interact with astrology, just as it is not the only way to perceive the workings of the world. Intellect can meet with body and soul. In The 26 Keys I presented a new approach to investigating astrology that fosters the growth of awareness through direct contact with astrological influences as they happen. This approach is designed to be highly flexible and adaptable to any kind of practitioner, but was partly clothed in hermetic terminology because that is how I see the world. The hermetic training I have been through led me directly to the techniques I have passed on. Astrology was, of course, a second factor there. However, there is another way I see the world that also powerfully informed the emergence of my published material. This third world view came from what I would very loosely call my shamanic initiation. Later, this perspective dovetailed into hermetic initiation, but at the beginning they were practically different paths for me. Eventually the mixing of these two things with astrology produced what I will talk about in this message. First, I need to make myself clear about the term ‘shaman’. I do not consider myself a shaman, and never have. Other than my fellow human beings, I have no tribe to guide. I have not undergone any ceremony by another shaman. I simply do not fulfil the requirements, and cannot. However I can learn as much as I can from the people who are shamans, living or dead. That is where I began, but it quickly dawned on me that I could never be a true shaman, I was born in the wrong time and the wrong place, however the appeal of it never left me and so I continued to study and eventually started to practice as best as I could. This is really the only way I had. So I need to define the term ‘shaman’ anew for this article, and I am going to call it a person who walks between worlds using their creative imagination and their guides for the purposes of bringing knowledge and healing to our world. It is still pretty close to the original definition, but it does not necessarily involve a tribe, a totem, an initiation rite or any of the other standard features of shamanism. Let us not kid ourselves and insult our ancestors at the same time – shamanism is a life calling, and it has stiff entry requirements. This definition of ‘shamanism’ or ‘vision-questing’ is loose enough to allow us to include similar but different methods, such as pathworking and gateworking the kabbalistic Tree of Life, meditation, or lucid dreaming. In fact as you will quickly see any activity can become part of your own way of doing things – if you are a dancer you can dance, if you are a painter you can paint, if you run you can run, all while practising your own way of interacting with your chart. Its just a matter of personal choice and adaptation. Given everything I have said above this message is not talking about a strict methodology or tradition, there is no dogma here that you must stick to; instead it is an example and a toolbox for people looking to do something similar in their own lives. Feel free to pick and choose, adapt, fold, spindle or mutilate to your hearts content. I have no rulebook to throw at you! Even if I did, I would probably burn it 🙂 What I do have are a lot of suggestions that I use in my own life and a way of combining them into a method that you can grow like your very own garden. Preparing: Here I will cover the things I would like to share concerning getting yourself ready to practice along with some general guidance on proceeding. Practicing: This is the main body of the article and is divided into an introduction followed by 4 sections covering planets, signs, houses and aspects. Medicine Bag: This is a toolkit filled with miscellaneous things that relate to this method and which I have found useful. It includes a discussion of how other models like the Tree of Life can be involved. In my experience it has been essential to prepare myself for this kind of work. How I did that has varied over time, and I will discuss some of those methods here. The reason why preparations are so important is chiefly that in order for awareness to interact with other worlds it must usually be given a ritual signal that it is about to engage in a sacred act. It needs to be entered into in an altered state, not an ‘ordinary’ one. Sometimes there are other reasons why you need to be carefully prepared – a journey of the kind you are undertaking is no different to any physical journey into unknown territory. Therefore you need to consider carefully how you will prepare yourself for the journey. Know your limits. The more consideration and effort you can give this preparatory time (without going overboard) the better, especially for your first experience. Your preparations may not only shield you from things happening which you had not foreseen, they will also enhance the quality of your experience. Ritual purification is commonly undertaken in most shamanic practices, and some variation on this could be considered. A ritual bath often comes to mind, but in time I abandoned this practice because of what I saw human beings doing with their use of water. Fasting is another commonly used form of preparation, but since I have to manage diabetes this is unsuitable for me, so I have rarely done so. Blessings, incense, dance, drumming, meditation – really anything which helps to focus your mind, heart and body on what is to come and which makes them fit for the journey is the idea. This should occur as close to the onset of your journey as possible and possibly throughout depending on what you are doing. I have used drumming because I find it a powerful way to alter my brain activity and this helps to shift and maintain my awareness in my astral body, allowing an immersive experience, but many people find this to be too intense. This is really where some prior training of some kind can help you. If you are trained in something try to involve it at this stage of your activities, for example if you have enough training with Initiation into Hermetics pay heed to the balance of the Elements in your astra-mental body and prepare for the journey ahead in whatever way seems appropriate. You may wish to make some kind of talisman to ensure the success of your voyage or seek the advice of spirits. You may be heading out on your quest with a specific intention in mind, such as a healing or the acquisition of certain information. If this is the case, examine your motives very carefully and be sure that you have considered your mission seriously. Spirits will respond more favourably to those who have given deeper reflection to the matter in hand, and meaning will emerge from your encounters with little effort. Conversely if you do not give careful consideration to your goals, you are essentially inviting the spirits to teach you about them, and those lessons can sometimes be surprising. On the subject of spirits, if you have any kind of training or gift in being able to perceive them your work will proceed more powerfully and swiftly, but if you are a complete novice and have never done this kind of thing before, be careful! This is not just a game you play in your head. Everything you encounter is as real as you are…Show respect but no fear, be cautious but never reluctant. Remember that everything you experience is a part of you. In the beginning the beings you encounter will probably follow a kind of script that exists in your imagination – you will perceive spirits that you are somewhat familiar with, and they will take forms that you recognise and which seem to do what you expect them to do. This will often cause you to wonder if they are really there or are just puppets that you are controlling. They are really there. In time, they will begin to behave more independently until they do things which surprise you (they may even do this in the beginning). New beings can appear and the beings you meet can even merge themselves together and form chimera. All of this is known and recorded in the shamanic tradition throughout the world. If at any time you feel threatened by any encounter to the point where you wish to remove yourself from it, you will be able to do so at any time quite easily so long as you remain able to focus your mind on something I will call ‘the touchstone’. The touchstone is any object, word, memory or symbol which draws you back into your physical body and its world. I call it a touchstone because I most often enjoy rocks as my touchstone, but it could be anything that immediately draws your awareness back to your physical body. I have also used streams and rivers as touchstones, a special place where I could sit and if necessary place my fingers in the cold water to draw my senses back to my flesh. The touchstone should be carefully and lovingly chosen and cared for and if practical it should be kept shielded from other people once its purpose has been given to it. When you are preparing to voyage, clean and care for your touchstone – if it is a symbol or memory, do something with it. You may wish to have more than one kind of touchstone, for example one that draws you back immediately and one that brings you back more gently and gradually. The concept of the touchstone can also be expanded to include other things, which I will discuss in the Medicine Bag section. After reading this you may already have some ideas about what your touchstones are, and the advice I have is to follow that instinct. In this kind of work it is very important to be in touch with your instincts and to trust them on a visceral level, so look for every way you can to work on this. The worlds you will voyage to are non-physical realms that will primarily test and forge your astral and mental muscles, not usually your physical ones unless you have some kind of physical activity involved. However, in my experience shamanic journeys work most powerfully when we involve all three bodies, physical, emotional and mental, they are best as voyages of the whole being. This is why dance or chanting are often involved, because they harmonise well with using the creative imagination to journey beyond. Whatever you do to prepare yourself, you should then also do something to prepare your space. This can mean smudging it with incense, casting a circle, lighting some candles, performing a blessing or just tidying it up. In this stage you must try to connect with your space and transform it into an area where you will be safe, undisturbed and comfortable, but also where you will be placed easily into an altered state of awareness. As part of the purification and preparation for a journey many shamans have used psychoactive plants or other substances, mantras, gestures, songs, drumming and even sacrifice to prime either themselves, the supplicant or the place in which the journey is nurtured. Sacrifice does not have to involve killing anything, of course, though it does entail the giving up of something of value. These offerings are often meant to please and supplicate the spirits, so aiding the journey, and thus they are carefully chosen. Spirits will often show you what pleases them if they are asked. Sometimes, for example when journeying to meet an ancestor, such an offering may even be required. Throughout this message I will be using the term ‘Otherworlds’ to describe the places you will visit, but I want to make something absolutely clear – these places are part of our world, not separate from it. Their Otherness is just a result of our enfeebled awareness, which does not detect them at work around us taking place at all times and in all places. The shaman learns not just to walk between the worlds but to bridge them for everything he or she encounters, and they become a living embodiment of their journeys, which no matter where they come from have always taught them that everything is alive. The awareness is changed and with it comes magic. Consider employing a tradition, one with a clear cultural connection to your identity. A tradition can add a framework to your journeys and be a point of reference in the immense diversity of the Otherworlds. If you are Nepalese for example look at the Nepalese myths, spirits, stories and deities, become familiar with the way the culture has interpreted the Otherworlds and the significance of the symbolism it has dressed it in. I began with the Celtic tradition and it has always been present in my voyaging, providing important signs and portents. If you do choose a tradition, however, don’t mix it up with different ones. Stay pure. The results will be less ambiguous. Astrologically what you need to practice the technique described here is a birth chart and that’s all, but you can also involve conductors and keys if you wish. The involvement of conductors and keys basically assist you in determining the most potent times to undertake a journey, and they act as guides to what you can expect when you go wandering. In other words, if you use conductors and keys you can add a calendar framework to your voyaging, as described in the Medicine Bag section. To practice with just a chart and no keys or conductors you simply choose a place in the chart to journey to and then plan your trip. It’s that free-form. The guidelines in this message are just suggestions to help you. To practice with keys simply choose an activation you wish to work with, note its placement and role in the chart, figure out your journey and undertake it during the window of opportunity. You are looking for something, and you will know what it is when you find it. Do not ask me what it is, or where in the journey you will find it, exactly – I and your chart can only provide a general framework that shows you where and when to look, the point of this kind of work is actually that the journey is part of what you are seeking, and not the goal alone. So you will go looking, foraging in the Otherworlds to see what you can uncover, and it could be anywhere starting in that direction at that time. This raises an interesting point about direction, time and space as it applies in these journeys – it really doesn’t. It’s a symbolic movement, and thus it is possible for time to move backwards, or even sideways. Needless to say, this can be confusing. Things can be in one place at one time and in another the next. People we will meet for the first time tomorrow can walk out of the bushes. Old and familiar faces can appear in the clouds, long lost pets can be found, you can become what you encounter and shape-shift from a bear into a raindrop and all of this can and indeed should have a real emotional impact on you. Be interested in everything that happens and pay attention to everything you perceive – soak up the sights, smells, sounds and sensations of the Otherworlds and let them drink you in return, be open and shine your light of being throughout. You always have your touchstone to draw you back and if you become hopelessly lost you will always have certain landmarks you can look for, which we will come to shortly. A major consideration many people will have is how much preparation to do. Too much preparation and the journey will become too scripted and lose its spontaneous life, too little and the result yielded will be lacking. In general you must find your own way here, but in the beginning you may feel safer and more comfortable imagining some aspects of your journey beforehand. Don’t pre-map it all, though, and leave room for things to emerge during the journey. It has been my experience that even the most familiar of voyages throws up something unexpected, so this is frequently not as big a problem as it appears. Additionally, you are creating these astra-mental temples, and so they should be places which you consciously shape. Just leave room for the unconscious to emerge. No matter what you do to prepare yourself or your space, the most important asset you can take along with you on your journey is your creative imagination and your ability to alter your normative state of awareness while employing it. It is your creative imagination placed in an altered state of awareness that makes all of it possible, and which gives all of it life. This creative imagination has been given to you by the Earth. She is therefore the most important spirit you can encounter, so immense that She is rarely seen, and She is not only watching but participating in everything that happens. It is therefore traditional and appropriate to begin by thanking Her, for Everything. Indeed, it is for Her that I am sharing all of this with you, in the hopes that you will also sing Her your loving praise, in your own ways. She is always in the heart of the shaman, and they are sometimes wedded to Her in a sacred oath. So before you begin it is customary to reflect on our planet and all that it sustains with love. To begin with, you will need to make your first journey and for this journey it is recommended you go only with the intention of exploring and becoming familiar with the way of proceeding. On this journey, you will actually be travelling to 12 separate ‘locations’ in the infinite Otherworlds and meeting their inhabitants. You will also likely meet numerous other spirits, and should take note of everything that happens. If 12 locations are too much for one sitting, split them up into manageable portions. The 12 locations you will visit will correspond to the 12 temples of your chart, and so we will conceptualise them as 12 actual temples, though they may take any structural form. You may visit them in any sequence or order, but you should visit all 12 before revisiting any of the others. If you use a conductor you will visit them at the allotted time and if you use a key you will undertake the journey during a window of opportunity, but remember that an activation will be temporarily shaping your experience of the temple. This will very likely actually be happening in some temples anyway. If you have planets in that temple by birth you will meet them at the temple, as I will explain below. In fact all of the symbolism of the temple in your chart will be present in some form at this first visit – its signs, planets, the aspects of those planets and perhaps other details like progressing planets or the activators. Your goal with these initial journeys is to establish and create 12 astra-mental temples which you and you alone will know how to reach because you and only you will know where they are and what they look like. These temples will represent, for you, your astrology in that temple. They will be located deep in a particular territory known only to you and will grow the more you visit them and the greater the quality of your interaction with them becomes. In these places you will be able to reflect, meditate, perform experiments, and do whatever you wish in exploring the magic of your own astrology. However, these temples will also be places of instruction where you can undertake voyages beyond them into the wild, the landscape that surrounds the temple. Thus, once you find your 1st temple you will be able to leave it and journey beyond the confines of your own astrology seeking answers to questions outside of it. The 12 temples you create/discover will be connected by some kind of path that links them, 1 through 12 (and 12 to 1). This is the path of the ecliptic, a symbolic representation of the apparent motion of the Sun through the sky. I conceptualise it for myself as bright sunlight or moonlight which forms a pathway. Upon this pathway you may note certain objects or creatures which symbolise progressive degrees of the zodiac, decanic faces, bounds and other forms of zodiacal division. Sometimes you can meet activators on this path. If you walk this path and stay on it you will visit all 12 of your temples and all 360° of the zodiac. The question then becomes how to find the path, and the answer is that you must pass through a portal to find it. This is the doorway that leads out of our physical world and into the Otherworlds. It will be somewhere nearby where you begin, in your sacred space. You simply focus your attention on this doorway and go through it. In the Celtic tradition it is often a mound, or a hole in a massive tree with stairs going up the inside of the trunk and/or down into the ground. Your journey begins with seeking this place and going through it. It can take many different forms and does not always appear to be obvious, so you may need to investigate a bit. There may be a spirit near this door or archway. Sometimes this being is a guide – a helper for your coming quest who journeys with you, leading ahead or staying nearby. The first time this happens it is usually a very important ally who will stay with you throughout your life. If the spirit being does not accompany you but instead stays with the portal, signalling that you should pass, it is a spirit known in many cultures, a being who goes by many names and who guards the crossing between worlds. This is a very powerful being who may one day have a quest for you, but whose appearance should always be taken as significant – there is something special about the journey. Some traditions always meet with the Keeper of the Ways, as I call her, while others do not note her presence. Once you pass beyond this world by entering the portal, you are in the Otherworlds. Look for the path of the ecliptic or follow your guide, you are heading to your first temple. From here on in, if you are traveling with an intention in mind, a specific goal or an end point like a particular temple or an answer to a question, you must never let it wander from the front of your mind. If you do, you will quickly lose your way. Remain focused on your quest and keep moving forwards, carefully noting everything you perceive. There is no hurry. If you get lost, look for a landmark or a guide. Eventually, you will come to the temple you have set out to find. The guidelines I will provide shortly can help you to conceptualise how your astrology will show itself in this place. They are just suggestions to help your own creative imagination come to grips with the possibilities. You may well be completely surprised. That is good! Your personal experience is filled with meaning here. Spend time exploring your temple. When your journey is complete or you wish to return, leave the temple by seeking the path back to our world. Use your touchstone if you need help in finding it. Do not dally on your return journey but return without pausing, like the wind. Bring yourself back to our world the same way you came if possible, perhaps passing and thanking the Keeper of the Ways, and do something immediately to ground or record your experience for yourself. Reflect on it carefully in the days that follow – often messages become clear later on. Many traditions keep shamanic vision-quests a private and personal affair in order to preserve their sacred truth, unless the shaman has chosen to go seeking wisdom for the tribe, in which case a tale of the journey is usually told, but even then many details were left out and the tale was sometimes cunningly spun for the ears of those listening. Repeat this process with all 12 temples. Then, consider making a single journey to all 12 in one sitting, if you have not already done so. Once you have visited all 12 temples, revisit them and enrich your experience and knowledge. If you are very brave, wander away from your temples into the surrounding terrain – what you end up doing then is wandering into the territory of the sign of that temple, an infinite realm of 12 infinite archetypes. For example, if your 4th temple is controlled by Capricorn, when you leave its confines you will find yourself immediately in Capricorn land, a literally endless realm that somehow also neighbours Sagittarius and Aquarius land, and which reminds one of Saturn. In here you can undertake quests to discover many curious things like what the signs are, what their analogies are, how the Elements operate there, what influence Neptune has there, and so on. This is partly how I worked out the affinities for Uranus, Neptune and Pluto which I published in The 26 Keys. You should go with a guide if you try this, and those with wings make excellent choices. I am now going to provide some broad suggestions about how to encounter each part of your astrology on the journey. I am sharing a lot of my own experience with you here in order to give you some ideas, but I suggest you only use what I say as starting points for your own imagination. The temples are your primary locations, places only you know how to find. Temples should be tangible locations, possibly buildings or other architectural forms. They could also be part of the surroundings, like a cave complex. There should be at least enough room to move inside the temple and rest there. Most temples should have some kind of human touch to them – statuary, symbols, furniture – because the temples are a system engineered mostly by human intellect through its division of time and space. They may be gardens or other outdoor areas but they should have distinct boundaries and possibly reflect the width of the temple in your chart (the number of zodiacal degrees it encompasses). A temple should also have a ‘front’ and a ‘back’ entrance. The front should reflect the nature of the temple key, and bear some symbol identifying the zodiac sign in control of the temple. As you go through the door to the temple, you can see through to the other side and if there is another sign beginning in that temple you can perceive a change in the territory within your own temple. The path of the ecliptic that leads into your temple terminates at the degree your temple begins in the chart, but you start to see that temple from a distance away and so it becomes part of your awareness before you go through the door. However, once inside the door you are in a pocket realm that reflects your entire temple, and the path is seen winding through it. This pocket realm is only for your eyes. Outside the boundary of this place, you begin wandering into the zodiacal bush as described earlier. The path of the ecliptic can not only be seen passing through your temples but also shining around and outside of them, yet its field of golden light does not extend forever, there is a dark region beyond where the light does not fall. It is like a belt of golden light that forever illuminates the zodiacal terrain, even at night. About 5°-6° before you reach the cusp of a temple in your chart (i.e. the temple door) you come to the boundary where one temples influence begins to yield to another. For instance, if Mercury is at 01° degree Aries and your 7th temple is at 03° Aries, he is effectively in the 7th temple as a planet. This zone is the path leading from one temple to the next in your journey. It is always fairly short being only 5-6°, but again that distance is meaningless on a shamanic voyage. Thus, the front door of a temple is positioned where its temple key would be, while the back door is about 6° before the next temple begins. At least, that is how I experience it. Beyond the back door, there is the path of the ecliptic leading directly to the door to the next temple, which can always be seen or at least felt from there. The important point here is that there is a transition zone leading from one temple to another and that the temples do not back onto one another like rooms in a single building. They have a space around them that can be explored as well (a zodiac sign) and a space between them in which you can explore the transition between temples. What you see happening in a temple, the kinds of activities the entities who live there do, should identify that temple to you. In the 5th people or things could be playful or artistic, while in the 7th they may be courting. What you see going on in the temple should reflect what that temple is about. If something is happening that seems out of place, pay attention, you may learn something. Additionally, what you see happening in a temple can reflect the visitation of an important emissary – an activator – and you can learn from observing and interacting with this too. Some temples have writing on the walls, hidden chambers, special objects, or special features. Whatever you see belongs, and you can figure it out later, just let it be. Resist the urge to change things with your will. Let what is there be there, and examine it. If you do not like it you can always change it later, this is your space after all, but do not ignore your own messages. Signs can be perceived as processes in the environment of the temple and as an atmosphere. They can also be present in symbolic ways. Fire signs for example may denote torches, or bright light, Water signs denote flowing streams or fountains, possibly even oceans. Creatures associated with the sign can be seen in and around a temple, and the mood of all the beings is resonant with the sign too. There are many analogies for the signs that can emerge in your journey – occult books are filled with them and the creative imagination supplies even more. I have found it inappropriate to personify the signs as deities or gods, or as individuals in the voyage – the signs are actually more Elemental and thus they pervade the environment rather than situate themselves in a single form. Thus, I do not meet with ‘Aries’ I meet with ‘Mars’ and ‘Aries’ is a place, not a person. However, within the zodiacal region of Aries it is of course entirely possible to meet with Aries as a personified figure, it’s just that when you do so it will typically not be inside of your temple but beyond its boundaries, somewhere in his own territory (which you have erected your temple in, so go cautiously with that!). Note that in the Otherworlds all the animals can speak, as can the plants. Also the sky, the wind, and concepts. Each will ‘speak’ the language of the zodiac sign it belongs to. The clouds of Gemini are wispy and the clouds of Scorpio are brooding. As you observe these things from your temple, you can commune with them and can even become them – such is the magic of awareness. Signs may also manifest as adornments, clothing, tools or other properties of the inhabitants of the temple, so that a Taurus 6th temple can show itself as people sitting at a table sewing a sumptuous green gown, or a Leo 8th temple as a golden brooch in the form of a skull. These details and others can emerge spontaneously and only register as what they are later, after your return. The form this takes is always of deep significance to you. Signs should also be represented in some form above or near to the entrance to your temple. Signs also describe a protocol, a way of conducting yourself in an area, and an Elemental balance in the temple. If your 3rd temple starts with Aquarius and ends with Pisces it mixes Air and Water, more specifically Stable/Fixed Air and Reactive/Mutable Water. This allows you to perform Elemental work in your temples. It also implies that you should behave in an experimental way that is also sympathetic and compassionate (Aquarius with Pisces in support). Details in the way a sign behaves which carry features of its planetary ruler may sometimes be observed. For example, if you are in your 7th temple, and your 7th temple is given to Cancer, and your Moon (ruler of Cancer) is in Gemini, certain features of that temple may reflect the Moon in Gemini – perhaps there is a mirror. Interacting with this feature may transport you to another temple – for example, looking in that mirror could lead you to find yourself in your Gemini temple, with your Moon. This can work the other way too, as I will now explain. Here I will discuss the Lights and the planets (as well as the centaurs and other objects like the Dragon). These parts of your chart are the main actors and players in your Otherworld journeys. You meet them as personified forces and commune with them. If you are following a particular tradition you can encounter these figures as the analogous gods and deities associated with the celestial object. They can take the form of any of their various deities from any culture or time, even if you are following a particular shamanic tradition, but this is rare. Given that these beings can appear in such a vast array of guises and forms it is possible to learn a great deal from them about their analogies in different cultures. For example, in one journey you may meet the Roman Mars, while in another his Egyptian counterpart. In yet another, he may appear in a completely unfamiliar form, and you may later stumble across it in our world and make the connection – these kinds of experiences are common. The Otherworlds are always lit, even at night or underground (where there is a glow), and the Sun and Moon and all of the stars and planets can be seen in the sky. The Sun shines at day and the Moon at night and her phase matches her Earthly phase. If you look closely, however, you will be able to see additional stars, and you will come to see that they are moving, dancing and singing as well as shining, that they are more like the stars depicted by Van Gogh in his famous painting, ‘Starry Night’. Sometimes they make completely new constellations or show animated scenes from the past and future. Additionally, although the Sun is still extremely bright at day it does not hurt your eyes to look at it directly, and if you look for long enough you may see a face looking back. The same is true of the Moon, especially when Her face is full. These are the beings of the Sun and Moon, the chief spirits of the sky. They look down upon all of life, sustaining it with waves of pure, animating Electric and Magnetic Fluid, and while the beings seen within the Lights of the Otherworlds do not incarnate themselves upon the Earth they create embodiments of themselves out of the mental and astral material that is available. These beings are all the known and unknown gods and deities of the Sun and Moon, their cultural emissaries with humanity, and also us and all living things upon the Earth, organic or inorganic. Each of these beings is an individual reflection of the whole of the Sun and Moon, in a way similar to fractal imagery. This reflection of the whole manifests itself in a locus of attention, an individual mental and an individual astral awareness. Also visible in the sky, and usually when they are also visible in the physical sky but sometimes when they are not, are all the planets. Since the capacity to see in the Otherworlds is not dependent on eyesight, it is also possible to see (and even hear, smell and taste, etc.) the normally invisible planets Uranus, Neptune, Pluto and all the other things out there we usually need instruments to detect – which is why there are ‘alien’ stars and constellations. It is really a milky pool of living eternity you are gazing upon and into. These planets – Mercury, Venus, Mars, Jupiter, etc, – also manifest themselves in individual forms. The centaurs and the asteroids and all the other physical objects also take individual forms upon the Earth and its Otherworlds – these are the names we have given them like Ceres, Chariklo, Eris, etc. The Dragon, however, is primarily a being of the Otherworlds – except when there is an eclipse, which allows it to cast a shadow into the physical world. Some cultures, notably India, have given the Dragon a more physical role to play in their astrology, because it has been personified in their myths. Most cultures have lost this thread by now. If you are paying attention, you may have noted that giving any objects essential meaning a name and a shape gives it more of a role to play in physical life. This is why many spirits will ask to be given names when you encounter them, and look upon it as a gift. As a being of the Sun, Moon and all the starry sky, you are able not only to encourage life but also to create it. This is a powerful responsibility that you should never abuse. Those spirits that are powerful enough to have names already will guard that secret and share it only with those who prove they can be trusted with it. When you go to a temple which holds a planet in your chart you will encounter a being who represents that planet inside the temple. If the planet is at the cusp of a temple, the being will be found at the entrance, perhaps guarding it. Wherever you find it in your temple, this being will initially greet you and on later meetings will share things with you. This being is an external projection of a part of your own inner being, the part connected astrologically with the planet. Its form will therefore tend to be humanoid and will always be significant of your current relationship to that planet, or if you are questing for something specific it may contain some kind of meaning related to that quest which you must understand. You should never assume that these beings are there only for you, you are also there for them. You should bring them appropriate gifts and ask them what you can do for them. You should cherish and love them as the parts of yourself that they are, and when you find them in a bad mood you must seek to understand why, and how to improve things for them. You should always note what they are doing and saying and you should never insult them, even when they show you things that hurt. Sometimes they will – Pluto is very good at it. The intention is never to hurt, though, it is more accurate to say it is to show us the way we hurt ourselves. You must always remember that everything you see comes from you and that there is a touchstone that will bring you back whenever you need to. The human form combines the ‘bodies’ generated by all these astra-mental beings into a single body, the physical body. In this way all of these beings are with us wherever we go. We know them as our various thoughts, moods, tasks and all the things we think of as our character and life situations. Yet they are also external beings in their own right, and so while they form a kind of council within us they can also be met outside of us and interacted with as they are. In the beginning you should not visit one of them twice before you have visited each of the others, since this can be taken as an insult or result in an imbalanced approach. Your first call of duty is basically to meet and introduce yourself to these friends, from Sun to Pluto, including Chiron and the Dragon. They are extremely well connected, so as time goes by they may introduce you to others who work with them. There are many planetary beings, each with their own ways and purposes, and some of those may befriend you. Cherish this. A planet in a temple from your birth chart can tell you what it is doing there and what is going on there. Additionally, it also plays a role as an architect of other temples, and it can talk about the structure, purpose and meaning of that temple, but always from the perspective of the temple it occupies. So meeting with Saturn in the 11th temple when he is the ruler of the 2nd and 3rd temples can lead to a discussion about what the 2nd and 3rd temples mean to you and your friends, for example. Planets inside a temple they rule are in great command of it and can make things happen more easily. Planets also show their essential dignity in the forms they take and their contentedness with what is around them. A planet in rulership is in total command of the environment around it, while a planet in detriment is just the opposite and must pull a lot of strings to change things. By interacting with these more challenged or disgruntled beings, you can improve their lot because you can make changes with them. You can also directly perceive their essential dignity, which in some cases helps you understand the astrological methods you are using. An activator or progressed planet in a temple is a visitor or guest who is passing through. They will have a place set aside for them to spend their time within your temple and can be met there. While there they will be doing something in your temple, having a notable effect and often interacting with any residents. In these meetings you can hold discourse, ask them about their journey and receive wisdom about the past, or talk to them about their movements ahead. You can also meet with them to discuss whatever work you are doing with their activation. Sometimes they will leave things in your temple, markers of their visit which act as tokens of affection and as astra-mental talismans of their essential meaning. You should display these things prominently for all future visitors and any occupants, as well as yourself. Aspects between planets can show a number of things, but primarily they will show the way that the planetary beings in your temples relate to and regard one another. Some planetary beings will not seem to get along, while others will always agree. Some planetary beings will know of other planetary beings and be able to tell you their stories, but not know the stories of others. Sometimes the planetary beings will have messages from other planetary beings, or ask you to take messages to them. Sometimes they will be carrying objects which they have been given by another planetary being. All of these are ways in which aspects can show themselves. Since encounters within the Otherworlds are not merely imaginary but have an objective reality to them, talking with one planetary being about another can change how they manifest in your life. Additionally, messages you take from one planetary being to another lay down ‘pathways’ in your awareness that strengthen the connection between the planets within you. With practice it is also possible to get two planetary beings who normally disagree (because they are in square aspect in your chart for example) to actually agree on something – this represents an actual breakthrough in real terms. When the planets are in square this will often mean finding a common goal they can focus their different strategies on, while with an opposition you may have to mediate a compromise of some kind. A diplomatic act like this can take months or even years to reach, but when it is reached you will know it because you will feel it during the journey. The consequences of things that happen in the Otherworlds can take time before their waves reach our world as results, but the waves must come. The strength of this effect is proportional to the power of your creative imagination and your application of it during the journey. Conjunctions are a special case because with conjunctions the two planets are side by side, possibly holding hands or even merged into a single form, perhaps with two heads or faces. These strange beings are the children of two ‘gods’ and interacting with them can be very helpful in discerning the different qualities involved in the conjunction. It may even be possible to separate them for a brief period of time with an act of will or a magical device, maybe one found in the Otherworlds after a quest. Multiple conjunctions usually have some distance between them, so the individual beings are working as a crowd rather than as single individual beings, but in my experience when the distance grows less than 1°, the astra-mental forms involved sometimes begin to merge and when this happens with multiple planets it can become a truly spectacular show. I have many conjunctions in my chart, the closest of which is a near complete union between the Moon and Venus, and amazing things happen to Her form when an activator passes by, changes which are prophetic and deeply meaningful. This merging does not always happen, however, sometimes the beings maintain distinct bodies but instead form other powerful bonds. This concludes my discussion of the practice of introducing the core elements of your astrology to visionquest and creative imagination pathwork, I feel I have given you enough to go on, but there are some additional things I have to share with you that you may find useful and interesting. Totems are spirit beings that you develop a special, personal relationship with. Any being you meet in the Otherworlds can become a totem, and you should let them choose you rather than the other way around. This can still be the object of a quest, though. A totem can guide you through the wilds of the zodiac and other places that do not belong to your personal astrology, while also being a guide to the chart itself. A totem is often an animal or plant being and has much to teach us about our own nature. You should always have some physical representation of your totem on your person, or at least nearby when you journey. Some traditions endeavour to keep the shamans totem animal a secret known only to the shaman, but others wear the association with honour. The Three Worlds are the Underworld, the Middle World and the Firmament. They are connected by a Great Tree, the Axis Mundi which is the World Tree of many traditions, such as the Norse. This Great Tree connects the three worlds, often by way of an entrance in its massive trunk. This entrance is usually guarded by a serpent or a dragon, a manifestation of the Keeper of the Ways. In terms of astrology, a door to the Underworld could be found near the entrance to the 4th temple (which may itself be in the Underworld, the realm of the ancestors, if that makes sense to you), while a way into the Firmament opens near the 10th temple. The primary portal to and from the Middle World (our physical) is near the 1st temple entrance – it is the path of the ecliptic. This is in keeping with a north European tradition. The first six temples could also be encountered under the ground (i.e. as zones within the Underworld) while the last six as part of a stairway of the heavens leading to and from the Firmament. This is more in keeping with an Egyptian tradition. The Black Box is a tool named after the form it first took when I initially encountered it, but it need not be black, nor shaped like a box, and it does not have a physical form (that is, there is no box you need to get hold of, you will find it only in the Otherworlds). It is well suited to quests where you wish to learn something or have a question that needs a response. You go on a journey to find your black box, and when you finally find it (and that should require an effort) you open it and look inside. What the box does is position your mind for a surprise, and this enables something surprising to happen. Stones and rocks have been close allies for me in all of my journeying. In the past I have made circles with them, lit fires on top of them and gazed into the flames, formed kilns to fire clay with them, worn them and held them in my hand as I journeyed. My rock friends have shown me many things about my journeys and have many ancient tales and songs to tell, which I can share with the planetary beings and spirits I meet on my travels. Rocks can also become touchstones for specific planetary beings, your spirit allies, conjurations and other magical effects. Tending the Vision is a name I use for a method that was given to me very early on in my journeys. It is a way of encouraging your work to take root in the physical realm, and it involves planting a physical tree which you return to after each voyage. This tree becomes a sacred tree, so you must choose one carefully and ensure that it thrives. You can also tend to it in the Otherworlds. Trees have magical and astrological associations that you can also consider. The Gra Tree can also be applied to your work, with the paths corresponding to different temples and the position of planets in your astrology. Thus, if you have the Sun in Sagittarius in the 7th temple, you can visit with that Sun in the 7th temple and merge with it to explore the 11 gates that include Sagittarius in the Tree – 72-79, 100, 139 and 157 (numbered in the ‘Creative Sequence’ which follows the Creation of the Sephira). Or, you could explore any or all of the 11 Sun gates – 37-39, 41, 42, 55, 56, 74, 76, 93 and 95. Perhaps you combine them. Given that the Sun is in the 7th temple, this may well reveal magic of the 7th temple that also involves these structures in the Tree. If you undertake such a journey during an appropriate activation you can gain assistance from the activator, or in the case of Saturn or Jupiter choose to explore its planetary Gra path in the context of its activation. There is no reason why you cannot consult other versions of the Tree or other sequences, either. Calendar Work, namely timing your voyages to stages in the year, can obviously be done with the Electric conductor or with the solstices and equinoxes, as well as the midpoints between these main stations of the year, all of which many traditions have special rites for. How you do this is really up to you, but you could visit the temples where the Sun casts its light at the appropriate time. Eclipses can also be encountered this way. With Magnetic conduction, you can make journeys in a monthly cycle, and possibly also observe the phases of the Moon in your activities, or observe the lunar calendar (such as the Celtic one). In Egyptian culture there were 360 days of 10 days each (plus 5 days which existed outside of calendar time), which is the origin (as far as can be told) of the decanates, and so you could also structure your voyages around these, embarking on new journeys every 10 days. As I hope you can see, it is fairly easy to turn your birth chart or any horoscopic chart into a structure for vision-questing and other shamanic rituals. Everything in this article is merely there to ignite your own imagination so that you create worlds of your own that speak to you and allow you to interact with their inhabitants. Recording your journeys is often good advice, but the tradition is not usually written down, and is instead artistically communicated in colour or sound. This is because a linear narrative is often too limiting to convey the experience of being in the Otherworlds. If you enjoy this post, please consider supporting further posts on Patreon. dear brother, my cup overflows to hear you say that! I am so happy you like it! I was left with one initial doubt: in one point of the article, refering to the planets/lights, you say “In the beginning you should not visit one of them twice before you have visited each of the others, since this can be taken as an insult or result in an imbalanced approach.”. But depending on the planets in each temple, it could happen that a person following the order from 1 to 12 would meet a planet/light more than once, before having met all the others. I am not sure if I got it, but I guess the problem you mention is to avoid visiting the same planet/light, *on the same temple*, again, before going to the other temples? – and this is correct! Uhh perhaps I am missing some context here, but I don’t understand how this resolves the problem. On Day 1, I build my first two temples (containing Jupiter and Venus respectively, let’s say) These are the ‘contents’ of Temples 1 and 2. Then I ‘walk’ back from Temple 2 to Temple 1 and exit from Temple 1 via the portal. Next day i decide to go back and build the next two temples , 3 and 4. When I come out of the portal, I’ll be in Temple 1 and ‘see’ its content Jupiter, and on the way through Temple 2, see Venus again, then exit on the other side of temple 2 build temples 3 and 4 (and place their content), then come back , 4 to 3 to 2 to 1 to portal , and exit. So, my question is, in the course of building all temples over multiple sessions, wouldn’t I meet planets in the earlier temples more than once? Is the solution to build all temples in one massive session? Ok, this is just a linguistic hickup. I have two points to help clear it up. One, the point is not to make the same temple the intended destination twice, until you have seen the others. You can pass through the ones you have visited on the way, but you dont stop there. Two, the ecliptic is not a straight line. Its a circle, or more accurately a moving spiral, which appears as a path from the perspective of the traveler. Therefore, when you are on the ecliptic, you are on all of it, and its possible to step through the door from our world into the Otherworld, right in front of your destination. It is up to you. Awesome clarification. Made an already impressive article, *even more* clear. Option 2 is really awesome I’ll go with it. Thank You brother! Walk in the light forever! A wonderful way to experience astrology. Great!! Glad you think so and hope you will make time to enjoy it in your garden! In this article, a quadrant house system is assumed (with sign changes within a house etc). If a Whole sign system is used, the temples would all be within a sign, and new temples would begin exactly where a sign begins, and end 5 degrees from the end of the sign. Correct? Does the visualization of the ecliptic (or anything else about the details of construction and/or use of the temples) change if a Sidereal Zodiac is used? Hi, I edited your post for you as you wished so that it was clearer. So, yes to your first question, then, and not necessarily to your second. Does Bardon’s (and Rawn’s for that matter) advice of not speaking to spirits, but waiting patiently till you are spoken to, hold in this practise? It is a good practice for any dealings with spirits, but not a necessary one in every case. have a confusion here. from 1st to 6th house is the underworld part of the temples but the the 12th is not and the meaning of the activity there its all in the underworld! o_o! The unconscious and the underworld can overlap in many ways, but they are not the same things. After doing my 1st session, I can admit the Journey through the 12 Temple has been one of the most enjoyable, wonderful and insightful experience I ve ever had. It has been so amazing when (I am not so well versed in Astrology) during my journey I completely forgot what are the essential meaning of Temples I was travelling in and discover later (checking on the book) that the things I saw was totally in accord with the meaning of those specific Temples! It was an amazing experience and my THANKS to David never ends. Thank you for sharing this! I hope you have many more magical journeys and find what you are seeking.